IBM ExperienceOne is marketing software that replaces IBM Enterprise Marketing Management (EMM) brand. 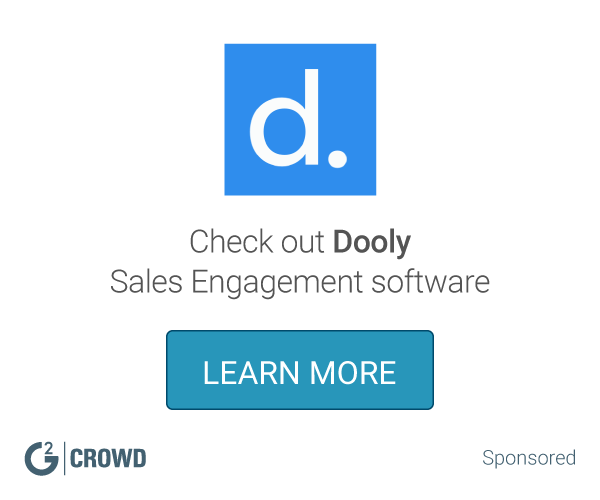 What Sales Engagement solution do you use? Outreach provides email tracking, cadence, and sales automation features for use by sales teams. Sync Salesforce with Gmail, Outlook, Office 365, or mobile. Immediately see valuable lead and contact information from your inbox. Yesware is an email tool for salespeople. Track emails, create templates, CRM sync, and more. Yesware helps you close more deals faster. Groove gives you all your important Salesforce data and features right inside of Gmail. You can quickly see your relationship with any person or company, send email templates, or see who is opening your emails. ToutApp is a sales communication solution that adds a layer of tracking, templates and analytics to Gmail, Outlook, Salesforce and more. Sales automation software that puts your outreach on autopilot, while still making each communication personal. Predictive Playbooks is an AI-powered cadence-based sales application designed to allow for strategic sales teams to grow pipeline. VanillaSoft is a powerful, cloud-based sales management software designed for outbound call centers and inside sales teams. This solution combines the best of Sales CRM, lead management and telemarketing software into one, easy-to-use solution. Ebsta helps users cross-reference and update Salesforce from anywhere on the web because we believe that well-maintained CRM data is crucial to business success. * We monitor all IBM ExperienceOne reviews to prevent fraudulent reviews and keep review quality high. We do not post reviews by company employees or direct competitors. Validated reviews require the user to submit a screenshot of the product containing their user ID, in order to verify a user is an actual user of the product. Hi there! Are you looking to implement a solution like IBM ExperienceOne?